Samuel Clemens loved to travel. Travel has no longer any charm for me. I have seen all the foreign countries I want to except heaven and hell, and I have only a vague curiosity about one of those. 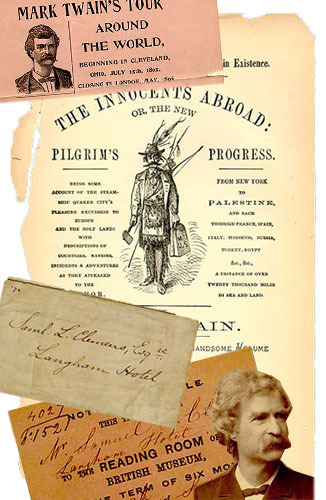 An exhibition called Mark Twain At Large: His Travels Here and Abroad offers a glimpse of some of the places he visited during his life.